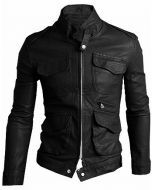 Hey Guys, take a look on this a master piece of our newly added leather jacket. A design came in to being after considering the latest fashion yet comfortable at the same time. 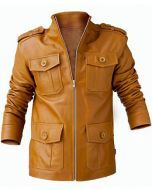 A delicate and well switched jacket with best quality Nappa Cowhide Leather. Available in Yellow, Orange, Red and Green.